Size: 690 sq.ft. - 3515 sq.ft. 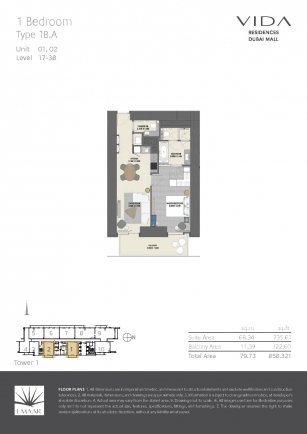 Vida Residences is one of the very latest residential & hotel apartment projects of Emaar Developer at the place which known as Dubai yacht Club – Dubai Marina. Vida Residences is a new hospitality concept and is all set to release 1 to 4 Bedroom apartments. 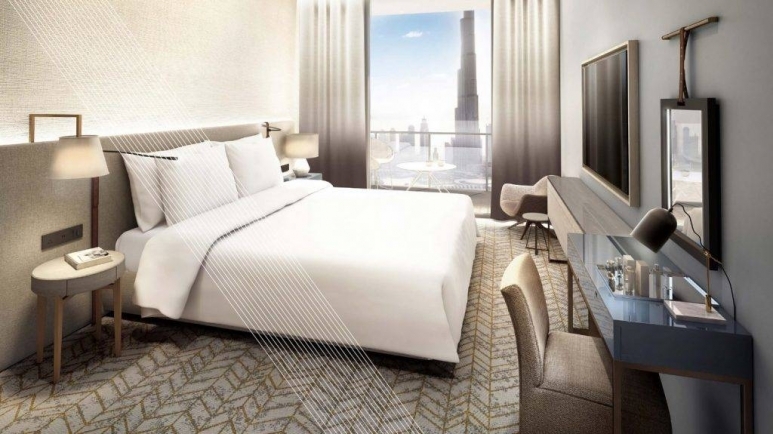 In the year 2015 Emaar has launched this new hotels brand Vida Hotels & Resorts. 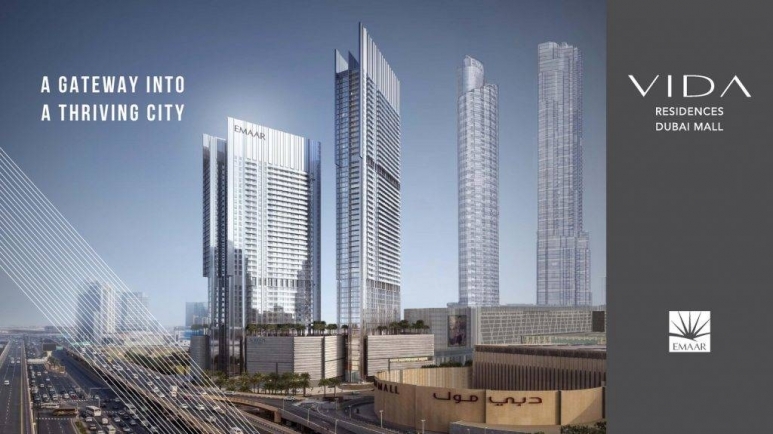 The hotel will be run by Emaar under a new chain - Vida Hotels. 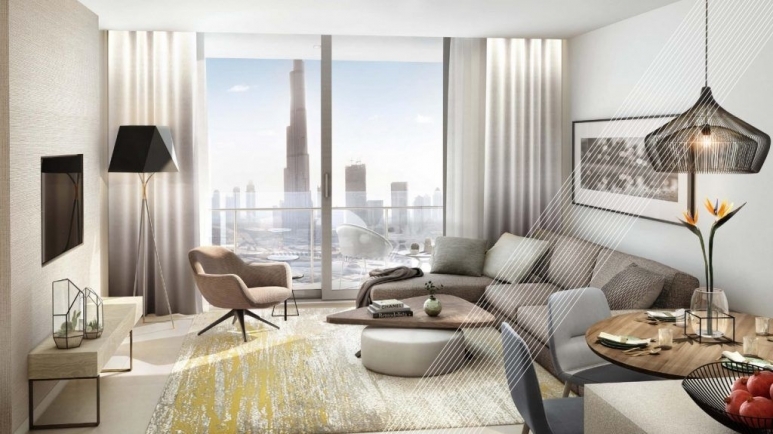 The Vida residences are completely taken up with the stunning and unique wide views of the Dubai Marina, beaches and gorgeous nautical inspired architecture. The Project work is expected to be finished in mid of 2020. * Vida skyline tower has total 105 Units of 1 Bedroom with the sizes of 1,017 sq.ft. 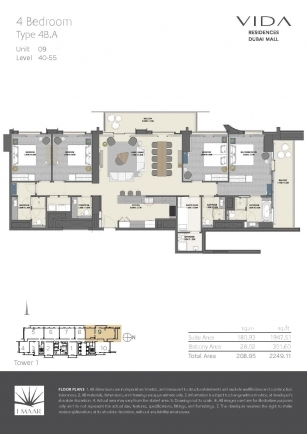 * 90 Units of 3 Bedroom and the sizes of the apartmentstarts from 1,680 sq.ft. 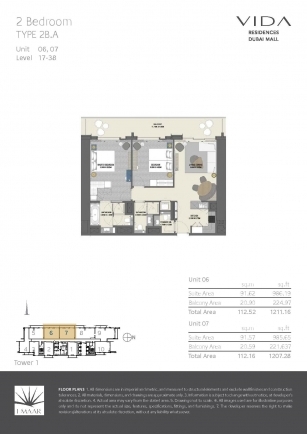 * And the rest 17 Units featuring 4 Bedroom apartments area rangesfrom 2,334 sq.ft. Emaar Properties has developed many famous and unique projects like Downtown Dubai, Dubai Hills Estate, Dubai Creek Harbour, The Opera District, Emaar South, Arabian Ranches, Dubai Marina, The Greens, the developer has built the world’s tallest tower BurjKhalifa which gave popularity not only in the United Arab Emirates (UAE) but also in different parts of the world.The Emaar developer is expert in various competencies like residential, hospitality, leisure and retail.The developer is also known for its high quality residences and office spaces located in its key master developments. 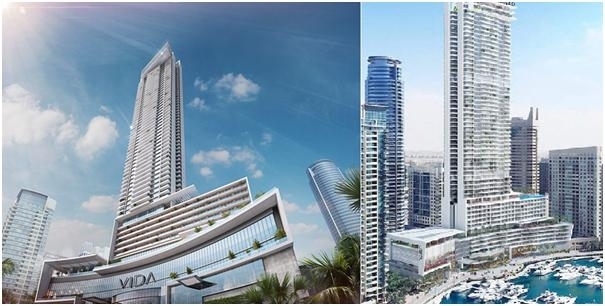 The Vida Residences location is very close to Dubai Marina Mall, Dubai Metro, Tram, and Sheikh Zayed Roads. The location is part of the Vida Dubai Marina Hotel, Residences and Yacht Club. Dubai Marina is one of the vibrant lifestyle destinations in the city and our new residences bring exceptional value for customers. When the entire development (Dubai Marina) is complete, it will accommodate more than 120,000 people in residential towers and villas. It is located on Interchange 5 between Jebel Ali Port and the area which hosts Dubai Internet City, Dubai Media City, and the American University in Dubai. Vida Residences is situated in the heart of the Dubai Marina, Dubai, United Arab Emirates. * Iconic views of BurjKhalifa and The Dubai Fountain. * Attached with valet and concierge services. Schools: - AL Arabic Publishing and Training Services, Blossom Nursery, Marina Village Nursery. Restaurant/Cafe(s): - Baker and Spice Restaurant, Bob's Fish & Chips, Kitchen Cafe, Tchaikovsky, Sarpino's Pizzeria, Chin Chin Marina. Supermarkets: - Carrefour Market, European Star, Zoom MARKET, JLT, Cluster-D, Al Maya Supermarket. Hospitals: -Novomed Specialized Clinics, Novomed Aesthetica, Novomed, Castle Group Hr Office. 950 sq.ft. - 2000 sq.ft. 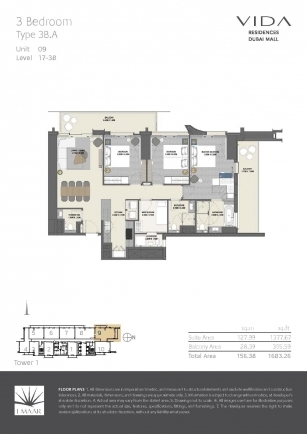 922 sq.ft. - 2425 sq.ft. 721 sq.ft. - 1978 sq.ft.